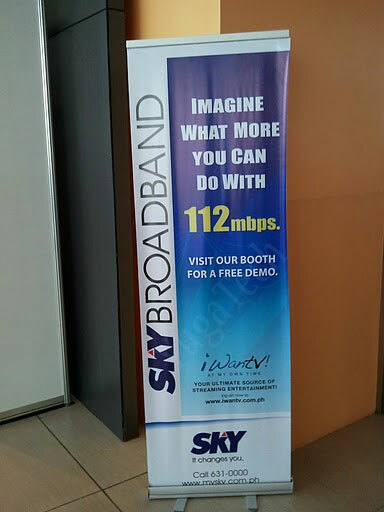 Earlier this morning, I saw a post from yugatech "Sky Broadband offers 112Mbps for Php19,999" , I got interested readily so I read the post and look for more information about the service on sky broadband's official webpage. Sadly, the service is not yet mentioned on the website but according to mr abe from yugatech , here are some of the information he learned. the subscription costs Php19,999 per month and it’s currently only available to residents of Manansala Tower at the Rockwell Center, Makati. They sure do know which condo residents have the cash to afford this service. Condo units tend to be small and close in proximity to another units so buying a 1 high quality wifi router/access point with wider range will suffice instead of setting up repeaters all over the corridor. Managing the bandwidth is an easy task as well, high end routers provide various functions on bandwidth management or attached devices. It comes preloaded on the router's firmware. With this setup, the subscription will pay for itself (even the router and WiFi dongles), but if I manage to get more than 14 neighbors, i'll start to earn a profit from it ~ talk about greedy. It's just me, I'm not encouraging you to do the same. Of course, I believe this practice is illegal for the ISP but let's just say you have an "internal" arrangement with your neighbors and you just want to share you extra bandwidth to them. Right now, I'm still not sure on which market is sky broadband targeting this service. For consumers, I don't think we have the need for this amount of bandwidth even if we consider hi def movies, streaming and stuff. 12 Mbps is more than enough. 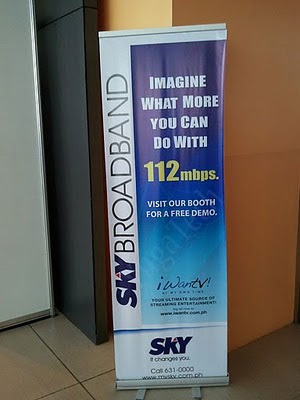 It's safe to assume that , probably, sky broadband wants this service to be a partnership between sky broadband and condominium's administration or maintenance. Its up to the condominium administration if they want the to include the high speed internet as free perks for buying a unit from them, or they could re-sell the internet (just like my plan) for their tenants. What do you think? Share your opinions on the comments section.